The Norton Inter story started as far back as 1927, when Walter Moore (formerly the Douglas chief designer) created the first Norton overhead camshaft engine with bore and stroke dimensions of 79×100 mm, giving 490 cc capacity. Straight from the drawing board it provided Alec Bennett with a TT victory in 1927. 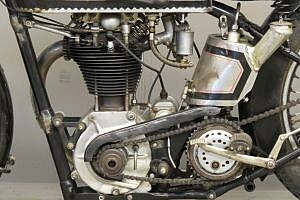 Known as the CS 1 (Camshaft Senior one) it was listed as a production machine for the 1928 season. 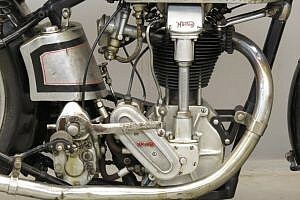 The smaller 348 cc version ( 71×85 mm) was known as the CJ (Camshaft Junior). 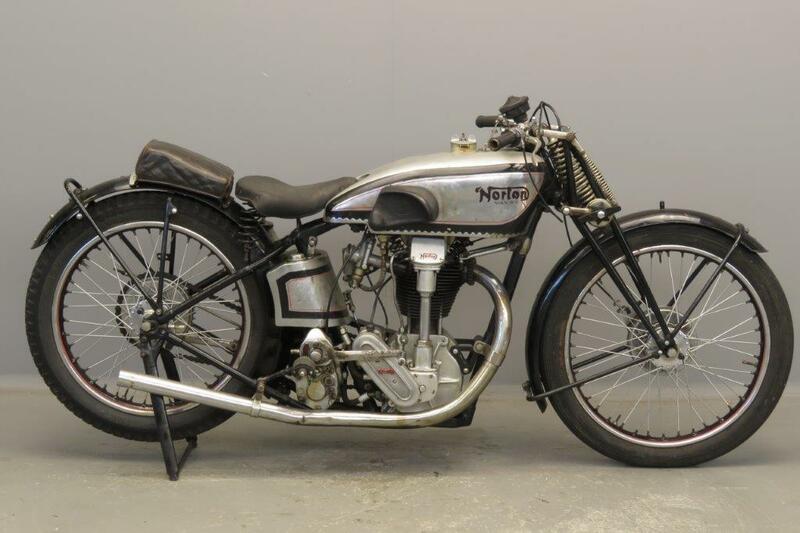 By 1930 Moore had left to work for NSU in Germany and for the TT that year Arthur Carroll , his successor at Bracebridge Street, redesigned the camshaft engine. With this design Norton started its incredible run of success in road racing. 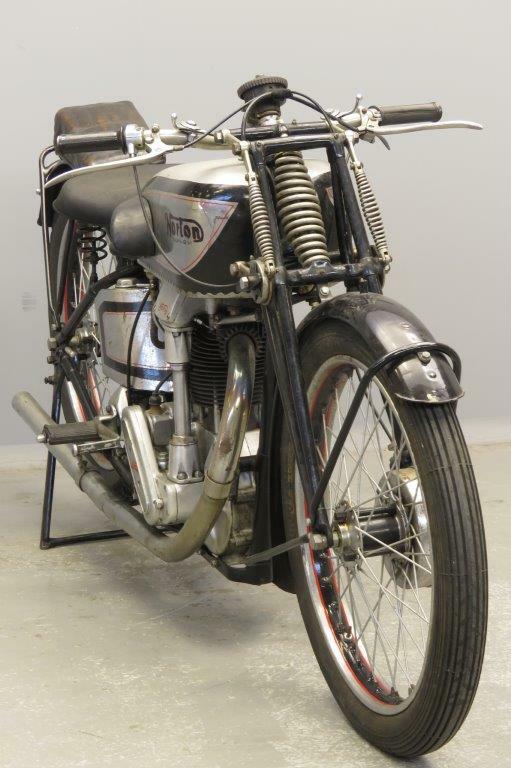 For the 1932 season a sort of road going race replica was listed as the “ International” and was equipped with TT Amal carburettor , racing magneto and close ratio four speed gearbox. 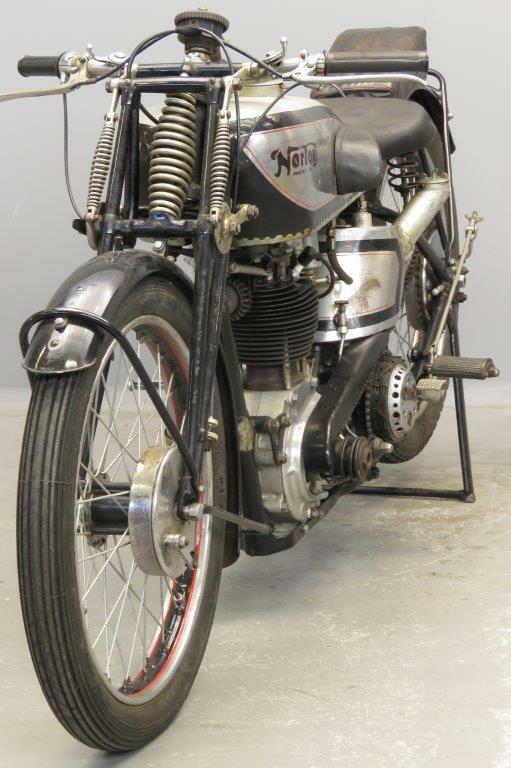 Later in the thirties the Inter got hairpin valve springs and after the war “Roadholder” telescopics and plunger rear suspension were added. This super sports machine is in full racing trim. She left the factory in December 1931 and was despatched to Belgian dealer A. Breslau in Elsene (Brussels). The machine has matching numbers and is equipped with a rare type IV Sturmey Archer 4-speed gearbox and BTH racing magneto. 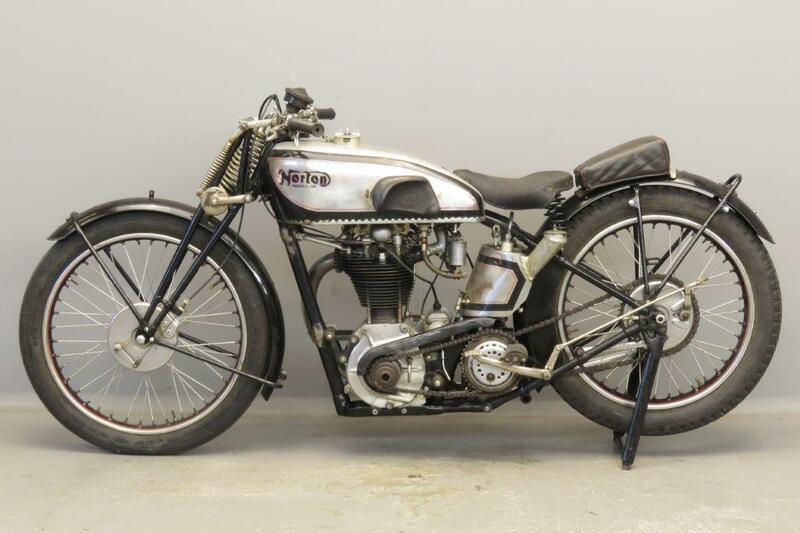 The Norton looks like it has been used for racing in the first decades of its life. Some parts have been repainted and the motorcycle bears the scars of competition. 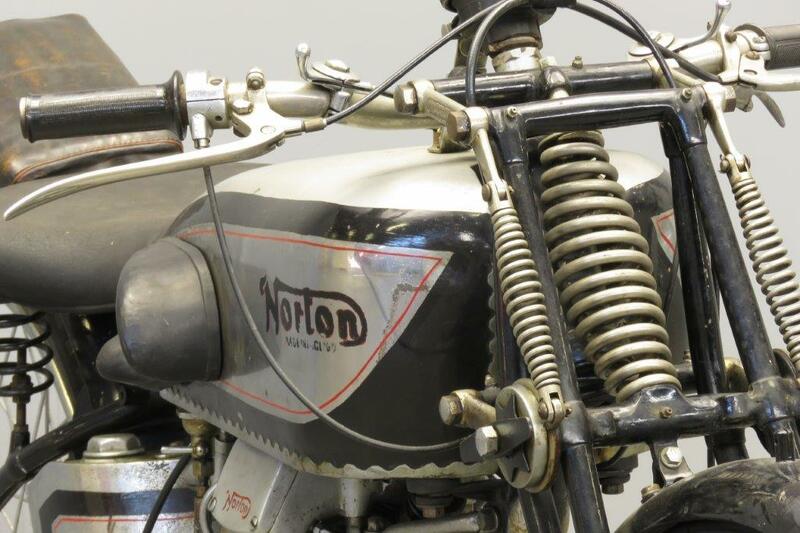 As far as we have been able to establish the machine was part of a private Dutch Norton collection from the late sixties till a number of years ago, when it moved temporarily back to a Belgian collector’s house. Recently it moved house to The Netherlands again and the current vendor decided to part with it because he has too many projects on the go. The machine is reported to start and run very well.